Loaded with gifts, the mummies go to the pharaoh. But the monarch is temperamental. Something that has just been at the top of her wish list might displease her in the next moment. 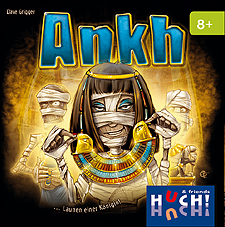 Who is best at winning the favour of the pharaoh? Contents: 90 cards, 1 set of instructions.